Red Skull Machete | BUDK.com - Knives & Swords At The Lowest Prices! 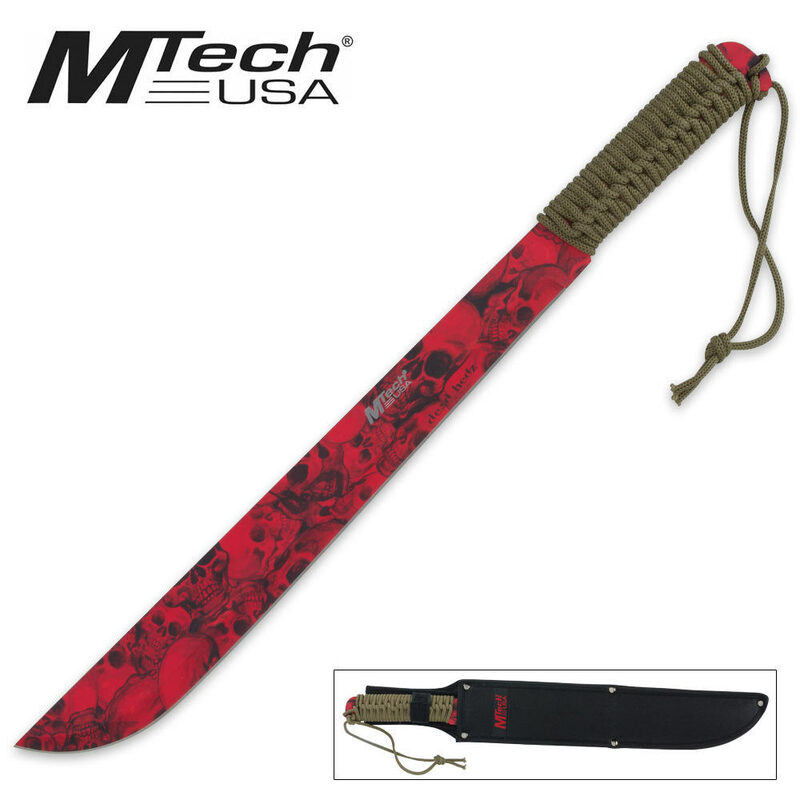 This machete is a wicked piece that you have to have in your collection! The stainless steel blade features a red skull coated blade. The handle is cord-wrapped for an excellent grip. Includes a black nylon sheath. 18” ov.